A flat roof is generally defined as having a pitch not greater than 10 degrees to the horizontal. A truly flat roof would not allow rainwater to drain away, so most flat roofs have a fall on them so that rainwater flows off to collection points, i.e. drains. Flat roofs that were once expensive and troublesome to maintain are now not so tricky and can be low maintenance and have a longer life expectancy than they once had some lasting for fifty year, such as Singly Ply Membrane and Bitumen flat roofs. The choice of flat roof covering is still important though in terms of effectiveness in keeping out the weather and we can advise you on the best options for you. These are some of the options available. This is one of the oldest and most commonly used flat roof coverings. It consists of an asphalt base, often with fibreglass, along with roofing felt, held down with nails and roofing compound to prevent leaks. Single Ply Membrane is most commonly known as EPDM and consists of PVC sheets that are attached to the roof by hot asphalt adhesive. Single Ply Membrane flat roofing can extend the roof’s life-span by up to fifty years. This is otherwise known as “Built Up roofing,” (BUR) and is made up of overlapping rolls of felt or mats layered with bitumen for the flat roof. Used since the 19th Century this method of flat roofing is made up of several soldered flat sheets of metal. 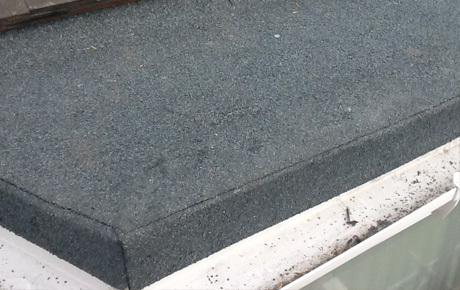 This is a stronger version of BUR flat roofing, but is made of bitumen containing rubber and elastometers, which provide a stronger and more flexible finish to your flat roof. Moss, fungus and other weeds can grow on top of your roof, as it’s exposed to constant moisture. When the water stays on top of the flat roof and has no means of escape, this can lead to leaks and water damage. Cladfit can either clean and repair your flat roof or replace your flat roof for a reasonable price and in the surface of your choice, according to your requirements. A flat roof has to deal with a variety of harsh weather elements, from being baked in the sun, to torrential rain or heavy snowfall. Cladfit UK install or maintain flat roofs for garages, sheds and any other building that already has or requires this style of roof. Our team uses the highest quality materials to replace or clean and maintain your flat roof, making it durable, low maintenance, worry free and also attractive again.